Bill O'Reilly: 'Abraham Lincoln Was Our Best Leader' In Killing Lincoln, Fox News host Bill O'Reilly and co-author Martin Dugard explore the life, death and legacy of America's 16th president. "I think Abraham Lincoln would be proud of his country today," O'Reilly says. 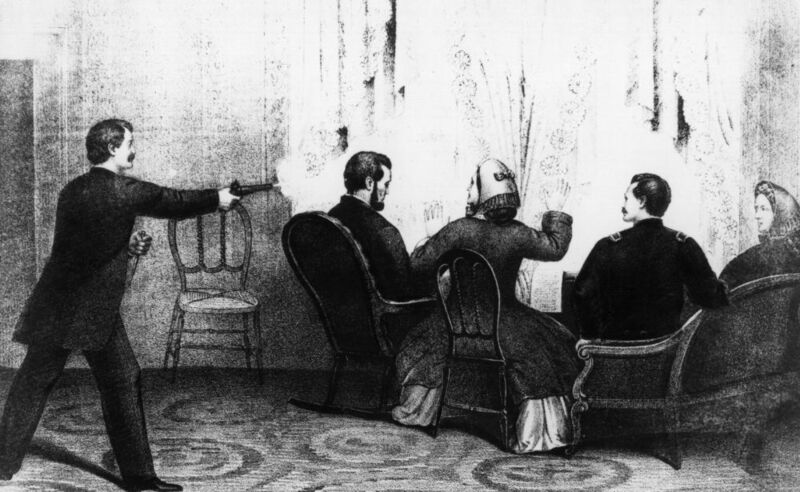 A lithograph depicts the assassination of Abraham Lincoln, who was shot by John Wilkes Booth in Ford's Theatre in 1865. 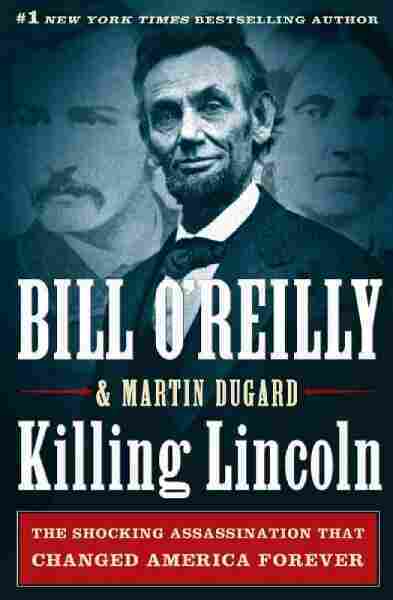 Lincoln's death is the subject of a new book by Fox News host Bill O'Reilly. If Abraham Lincoln delivered the Gettysburg Address today, it would be far too long for an evening news sound bite. But it would make it onto C-SPAN, says Fox News host Bill O'Reilly, "and it would probably still get on Internet sites — the hate-Lincoln and love-Lincoln sites." 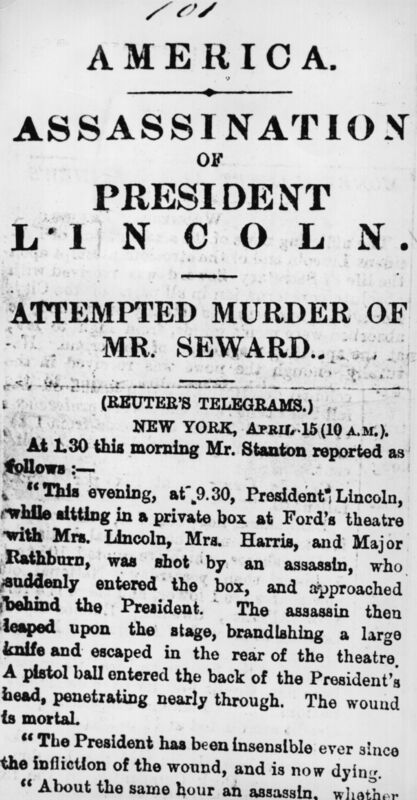 The nation's 16th president is the focus of O'Reilly's new book, Killing Lincoln: The Shocking Assassination that Changed America Forever, which he co-authored with Martin Dugard. The book constructs the final days of Lincoln's life and examines the plot against the president at the end of the Civil War in April 1865. O'Reilly, who hosts The O'Reilly Factor on Fox News, joins NPR's Steve Inskeep to discuss Lincoln's life, death and legacy — and speculates about what Lincoln would think of America today. "I'm very concerned about leadership in America right now, and this isn't a knock on any specific elected official, but I think that we are lacking leadership. ... President Abraham Lincoln was our best leader for a variety of reasons. I wanted to draw attention to him and write a book that was very dramatic and very exciting to read, but at the same time show Americans what true leadership is so that they can compare it to what we have today and perhaps maybe seek out better leaders." 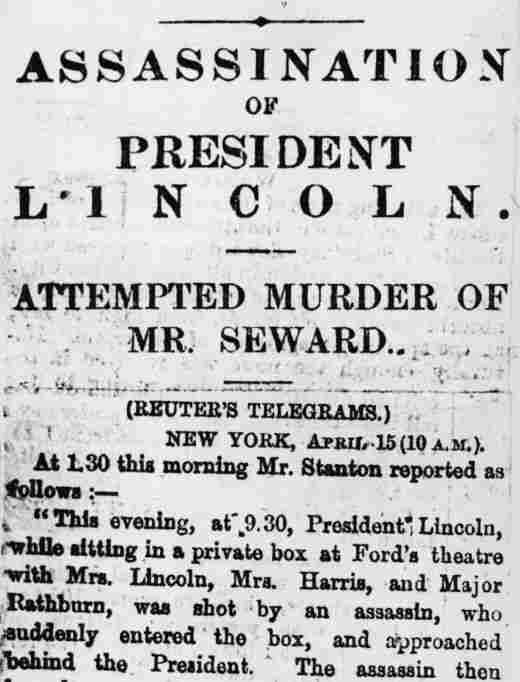 On the assertion that in 1865, Lincoln was "by far the most despised and reviled president in American history"
"Well, obviously the South hated him and many in the North just didn't want to make the sacrifice [of going to war]. There was a lot of racism in the North, obviously, and they said: 'Why are we losing hundreds of thousands of people and fighting this bloody, prolonged war when we don't really care that much?' "
"Perseverance and compassion. Even in the darkest days, Lincoln didn't give up. He didn't panic. He stayed and he fought. Hard." "Every week, Lincoln would accept correspondence from the regular folks. ... If you wanted into the White House, they would let you go into the physical building and roam around. There was no security to stop you. There were actually people who Abraham Lincoln didn't know sleeping in the hallways of the White House, trying to get to Lincoln with a petition or whatever. "He would take some of those petitions ... [from] widows and people who were in trouble. And then he would turn over their letters and write things on the bottom of the letter: Let this be done, let this woman see her son who's incarcerated, whatever it may be. [He was a] very, very compassionate man on an individual basis." "The media, remarkably, hasn't changed since Benjamin Franklin was printing Poor Richard's Almanack. The media's a bunch of guttersnipes. ... What can I tell you? I mean, look, I'm in the media, been doing it for 35 years. I know the media as well as anybody in the world knows it. There are always going to be people who try to make money by slamming other people and by, you know, creating all kinds of stuff that doesn't really get us anywhere." 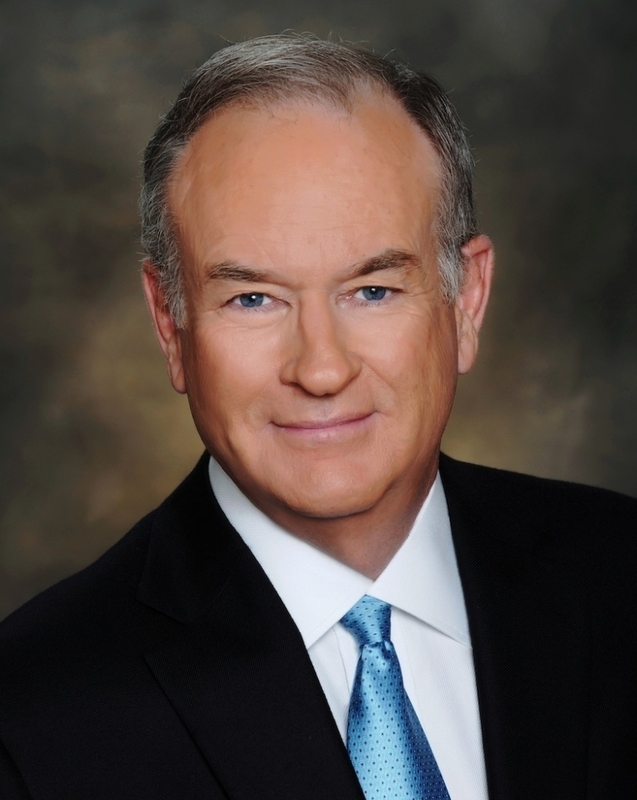 Courtesy Henry Holt and Co.
Bill O'Reilly hosts The O'Reilly Factor on the Fox News Channel. His previous books include Pinheads and Patriots and A Bold Fresh Piece of Humanity. "I try not to do it personally. I think we bring a robust debate to the nation every night [on The O'Reilly Factor]. I think we try to stay away from the personal stuff. We try to back up our opinions with facts. So yeah, I mean, you can accuse me of anything you want, but I'm trying to do the right thing." "If it's departed from reality, then we have to isolate the people who are doing that. President Obama was right in his Arizona speech when he said: Look, you can't inflame to the point where you hate each other. That's not what America's supposed to be. "But what can he do? I don't see him, his rhetoric, he doesn't do that. I don't see personal attacks coming from Mr. Obama. But some of his acolytes, they just can't help themselves. And on the other side, there are people who just hate him and everything he does is bad. And I criticize those people just as much." "George W. Bush is a very strong student of Lincoln, and President Obama, he has studied Lincoln in the same way I did — on a personal level. ... He was kind enough, the president, to take me up to the Lincoln bedroom. ... I had never been there before. There, in the bedroom, on a podium, is Lincoln's handwritten Gettysburg Address, one ... that he wrote out in his own hand. It'll almost make you cry." "I don't think it's breaking. I think we have a robust two-party system in the United States. We have a media that, while flawed and irresponsible on many levels, does keep an eye on what's going on, and that the people really get both sides of the story. And most Americans overwhelmingly love their country. So I don't see any fracture along those lines. "I do see that zealotry probably is way higher than it should be. Dishonesty in the media is almost at a scandalous level. But there's so much media now — with the PCs and all of that social network — there's so much that I think Americans, if they really try and they think, they can get the real story." "I think Abraham Lincoln would be proud of his country today. He would certainly be proud that it elected a man like Barack Obama, of mixed race. Certainly, Lincoln would be proud of that. "I don't see [the country's situation] as dire as some other people see it. I'm fairly optimistic that if we can get this economic stuff under control, America will make a stunning comeback." In early audio and previous Web versions of this story, Bill O'Reilly incorrectly said there are three handwritten copies of Lincoln's Gettysburg Address. There are actually five such copies.